Harvard Technology a British company that developes and manufactures high-quality led drivers and controllers suitable for the retail, emergency, and outdoor industry. Harvard offers a wide range of LED drivers including Analog, DALI and phase dimmable drivers. IGuzzini is an Italian manufacturer of interior and exterior design fixtures. The luminaires feature visibility due to its sleek design and high quality. Due to the diversity of luminaires, a suitable fixture can be found for almost any architectural issue. 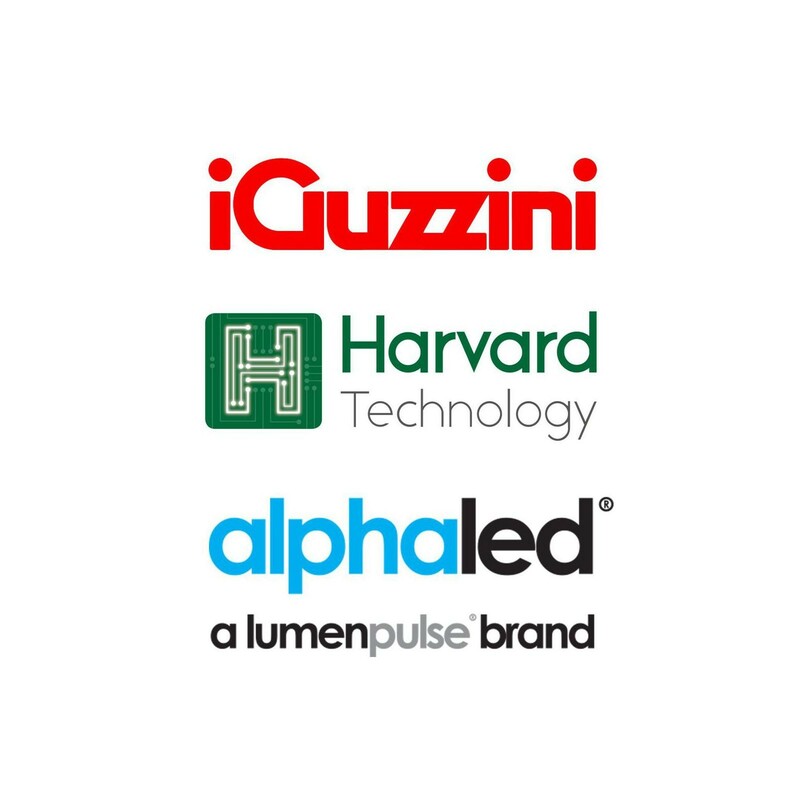 AlphaLED is a successful brand of Lumenpulse Lighting that delivers high quality LED luminaires for commercial, retail and architectural applications.